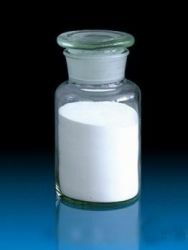 Physicochemical property:white or light brown powder, dissolves in toluene, methanol, slightly dissolves in acetone, undissolved in water and gasoline. 1. 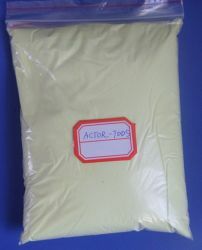 ACTOR-MTT is a kind of thiazole heterocyclic compounds which contains active sulfur atoms.It can be crosslinking agent in macromolecule polymer, especially in chloride butyl rubber, chloroprene rubber and brominated butyl rubber. 2. ACTOR-MTT can be effective accelerant in chloroprene rubber.Comparing with ETU, it not only has favorable physical and anti-aging properties, but also improves the anti scorching properties and operating safety as well as faster vulcanizing property. 3. 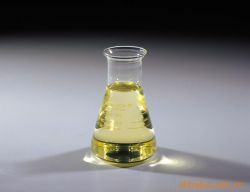 ACTOR-MTT can be applied in compound of chloride butyl rubber and raw rubber.Not more than 20% should be used in raw rubber with plenty of accelerator and bit of magnesia added. 4. 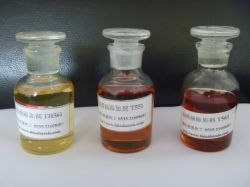 Chloride butyl rubber and chloroprene rubber can both be vulcanized by ACTOR-MTT effectively, so It would be appropriate to apply ACTOR-MTT in their compound. 5. It would be meaningful for tyre industry to vulcanize compound of chloride butyl rubber and raw rubber.After tested in raw rubber and butadiene rubber, ACTOR-MTT is a better choice than Sulfur. 6. 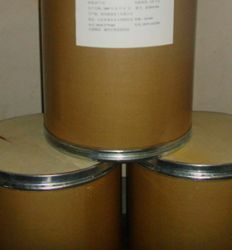 Typical physical property can be gained if ACTOR-MTT is applied in chloride butyl rubber.It can be well used in lining layer of tyre, diaphragm, air sac, oil lining as well as materials in variety of industrial products. 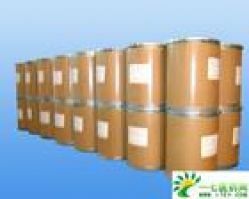 Package&Storage:Packed in 25kg cardboard with sealed plastic bags.Stored in cool, dry location.